I look at those online trees with skepticism since I found my father (correct SS #, birth and death information) with parents and wife that I didn’t recognize. 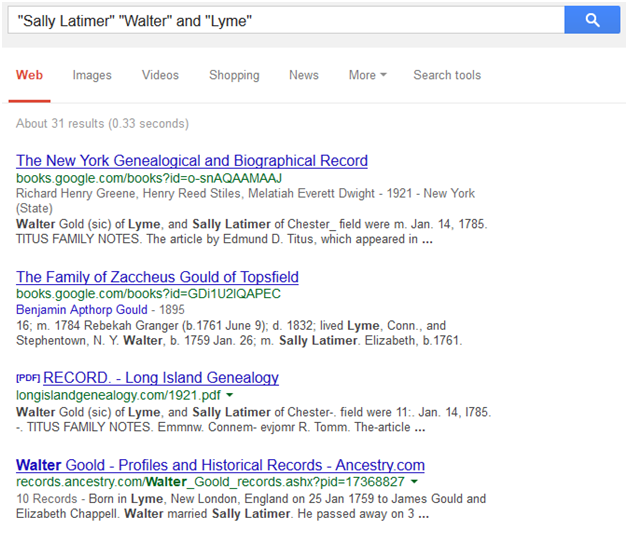 Most discouraging is that Ancestry.com will not correct those obvious errors when someone links them to your relatives. Exactly! I too have tried to notify them of an error, and in one case, an error I made! Thank you so much for the post and telling it like it is! Many people don’t understand how much work is involved in tracing a line. They think it’s a simple find a book or a tree online with names and dates and call it done. 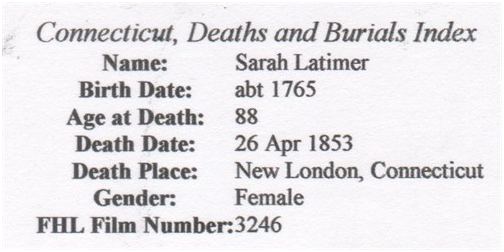 I document with birth, marriage, and death records, wills, census reports if I can find them. I read the local histories. I look at neighbors. And look at online tree’s for nugets of. And love every minute of it! I have learned so much more about my family from doing just that. Far more then names and dates from a book or online trees would have given me. I get so much more from those books as well because I do know my family. It’s so much nicer to KNOW it’s my family and that I can prove it. I have learned your books and work is to be trusted. That matters. Can’t wait for the next one! Hopefully one on the Nelson family! Agreed, although I do use Ancestry, Rootsweb, etc. for hints — and for those wonderful trees that actually have good sources. 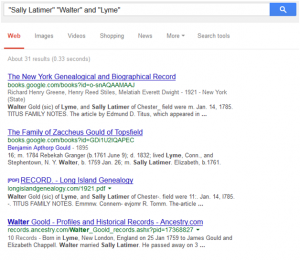 Over the past several years, online research has opened up the world of genealogy to massive numbers of new family history buffs. This is wonderful to have more information and contacts out there for anyone, in particular those who have been researching for a long time and have hit brick walls in certain lines. 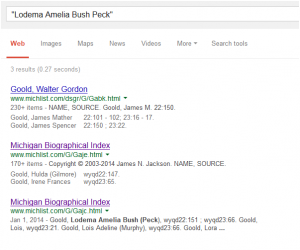 However, it is distressing that there is so much misinformation being repeated from tree to tree without any sources other than RootsWeb, World Family Tree, or Ancestry Biological Index. All of these were meant to be “clues for further research” and not as a “source” unto itself. This is not being emphasized enough. 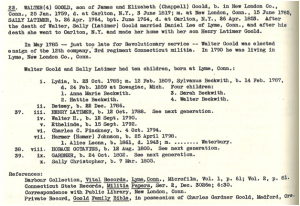 All these are taken not only from published records but predominantly from submitted Family Group Sheets of years ago and unsourced personal family histories. Years ago genealogy research required being close to a large library or repository, taking trips to other counties and states to review their records, or the reliance on a reputable genealogist. During the late 1800’s-early 1900’s it was big business to find you a Revolutionary Ancestor for submission to the DAR, SAR, etc. Submission requirements have grown and improved over the years. 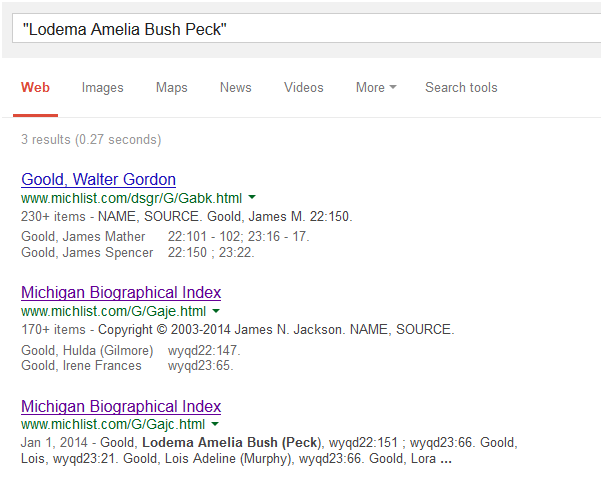 Thank you for making so much reliable information available to researchers for so many years. 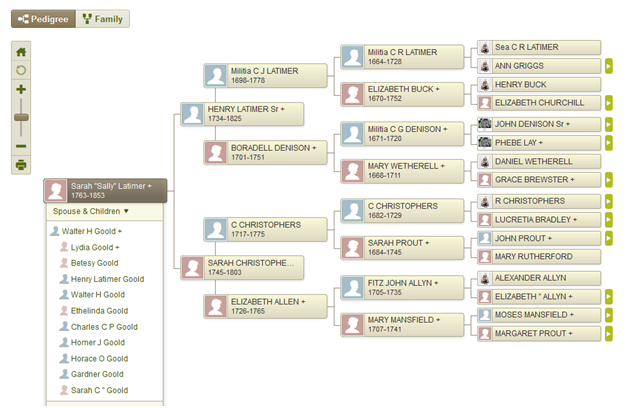 I was able to track many lines of my early family through New England thanks to your organization. The most important tip is not to rely on extracts and indexes. Many of these are inaccurate, either due to mistakes (say, typographical errors) or to wilful additions of material by the abstractor. Many are the purported accounts of cemetery gravestones, for instance, which include maiden names that are not on the markers at all. I agree! I found, or I should say didn’t find, one of my ancestors wasn’t in the index for 1790 Census but when I looked at the actual document there he was! Same can be said for books as well. Found a local history, Bethel, had a mention of a second marriage for Relief Bartlett Esty to Abner Foster of Freedom, Waldo, Maine. It was Freeman, Somerset, Maine that the marriage was also recorded. It was an important piece of puzzle. She was the sister of the wife of a known son of Abner Sr and Lydia Nelson and indicated Abner Foster (Jr) was from the area when added to all the other info. It was the clincher for me. When I started researching I was very gullible and assumed online trees must be correct. Now I only use them for clues and to connect with serious researchers and people who have unique passed-down documents, pictures and information. You could spend all day everyday trying to correct other people’s mixed-up trees but I think that would be a waste of time. 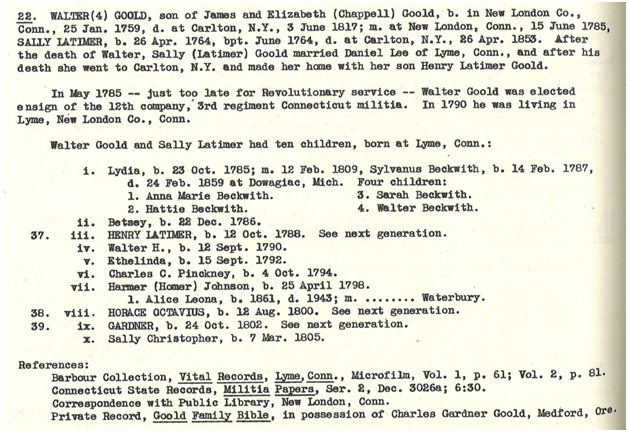 Still even my own tree with its thousands of original sources is not 100% perfect–families that I am working on are definitely “works in progress.” Just today I realized I had confused a brother (James Peace) with his sister (Tamar Billcliffe Peace) due to a transcription error, and that James must have died as a young child. I Improve it and correct it and document it better every day, but it is not perfect! My online tree is a mix of accurate, “work in progress”, and a lot of exploring . I found myself “now where did I see that person?” enough times to want to have it so some of my branches are things I’m trying to confirm or may need later. I gave up trying to correct it a few years ago.